Welcome to the Miami Dade Optometric Physicians Association! We're glad you found Our website. Together with the American Optometric Association and the Florida Optometric Association we have built a group of unified Optometrists who are working to protect your inalienable right to freedom of choice when selecting an eye care practitioner. The MDOPA's mission is to advance the profession of optometry through education, professional development and public policy advocacy. The MDOPA is the only voice that speaks for optometry in Miami-Dade County and the only force that works to protect the interests of optometrists and their patients. 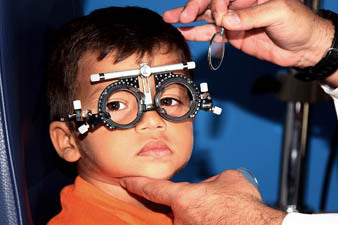 Optometry in Florida is a regulated profession. To ensure that Florida Optometrists continue to have a voice in the Legislative process, the OD-EYEPAC was formed and registered in the state of Florida. OD-EYEPAC exists to support the election of individuals to the Florida Legislature who share organized Optometry’s ideals and philosophy on citizens access to eye care. Only when we pull together can we potentially shape future legislation. Click here for more information.